FULL ENROLLMENT – Our best value – Get all our courses for less than $7/.1 CEU! INDIVIDUAL COURSE ENROLLMENT – Pick one or more courses, all at $15/.1 CEU. BCC AFFILIATES – Special programs and discounts for our Affiliates. GROUP DISCOUNTS – Want to enroll your whole team? We offer group discounts on enrollment! SCHOLARSHIPS – We support mentoring and high school programs with 100% scholarships. Get all our courses for one price! Approved for 3.1 CEUs - Click this sentence for more details. Description: With Full Enrollment, you get access to all our courses for a full year! All courses include videos, self study information, code sections, practice quizzes, downloadable handouts, and Completion Exams for ICC Preferred Provider CEU Certificates and Oregon CCB Licenses. 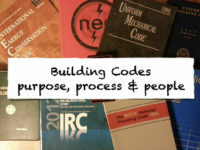 Full Enrollment at Building Code College offers something unique… ad-free, online, on-demand, real-world, code education, and currently 3.1 ICC CEU Certificates for one low price. At only $200, it’s less than $7 per hour! We’ve got many new courses coming out this year, so this price may not last long! Length: Approximately 31 hours in 10 distinct courses. Continuing Education Units: Approved for 3.1 Preferred Provider CEU’s from the International Code Council (ICC). BCC Affiliates are organizations that partner with Building Code College in the mission to make code education more accessible and affordable for everyone. They promote Full Enrollment at BCC to their membership by offering a coupon code in their name. Every time the code is used, the affiliate receives a reward. If your organization is listed below, contact them for your coupon code. If not…well…contact them and ask them to get you a code! Give a gift of education for a year and purchase a custom coupon code for Full Enrollment. You decide what you want the unique coupon code to say! (within reason, of course...) and we will set it up for you. How about happybirthdaydebe! Please type in what you want your code to read (case sensitive) and we will see if it's available for you. We will set it up and respond when we get your order. Please contact us if you have any questions. WELCOME TO THE COURSE CATALOG! Approved for 0.3 CEU's - Click this sentence for more details. Description: This course uncovers how the code works and the people involved. It begins with some fun history leading up to the current International Codes, and follows with an enlightening explanation of how the code is developed and adopted into law. Before applying the provisions, this course lays the foundation of how to navigate the code and how the code is administered as a minimum standard. The course concludes with sessions about key players in the use of the code and offers perspective from each of them in hope for a team effort in applying the codes across our communities. …Be introduced to some of the history of codes and how they got to be what they are today. …Learn how the code is developed, adopted, administered, and navigated. Learn the rules of the rules. …Gain perspective by seeing what it’s like working with code behind the plans examiner’s desk, through the inspector’s eyes, and in the contractor’s boots. Continuing Education Units: Approved for 0.3 Preferred Provider CEU’s from the International Code Council (ICC). Approved for 0.4 CEU's - Click this sentence for more details. 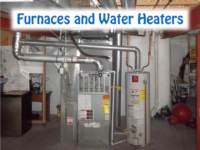 Description: Furnace and water heater installations and replacements are ubiquitous in every house. Many new contractors and inspectors are often tasked with their installation and inspection, and many homeowners tackle these projects on their own. Not as simple as often believed, these appliances are connected to many systems of a house, including electrical, venting, gas, water and air distribution. This class explores, in depth, all the various code provisions regarding their installation. …Understand the large list of requirements for a water heater temperature and pressure relief valve. …Learn the various venting methods: natural, induced, and forced. …Gain a greater respect for the various complications regarding their installation and inspection. Continuing Education Units: Approved for .4 Preferred Provider CEU’s from the International Code Council (ICC). Approved for 0.15 CEU's - Click this sentence for more details. Description: Getting people out of buildings safely is a core objective of any building code, and that includes the path through a house to the exterior doors and emergency escape and rescue openings (egress windows). This course reviews all the code provisions related to movement through and out a house, including doors, halls, stairs, and escape windows, to include decks over windows and door landings on the exterior. 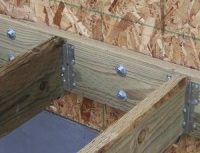 …Learn all the details of emergency escape and rescue openings, including various methods for designing a deck over a below grade egress window. …Understand the regulations related to stairways, doors and landings. …Be introduced to the various requirements related to the addition of an exit door to home. Continuing Education Units: Approved for .15 Preferred Provider CEU’s from the International Code Council (ICC). Description: Like decks, porch roofs are often considered easy construction and are typically attempted by new contractors or weekend warrior homeowners. However, the truth is quite the contrary. Porch roofs require significant evaluation depending on the extreme variety of their design. This class reviews the code application of these projects from the rafters to the foundation. …Understand the significant differences between constructing with a ridge board or a ridge beam. 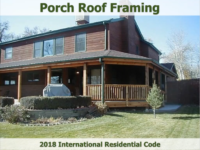 …Learn the various ways to connect a porch roof to an existing house. …Realize the limitations of prescriptive, structural design and when engineered design is necessary. Continuing Education Units: Approved for .3 Preferred Provider CEU’s from the International Code Council (ICC). Approved for 0.25 CEU's - Click this sentence for more details. Description: This class is designed for inspectors, roofers, foremen, general contractors, remodelers, and other professionals involved with roofs or roofing. Asphalt shingle installation requirements from the IRC and common manufacturer requirements are discussed in detail. …Have a better understanding of how asphalt shingled roofs work. …Be introduced to all types and conditions of flashing. 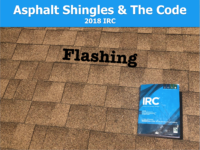 …Learn tips and techniques for inspecting and installing asphalt shingles. Continuing Education Units: Approved for 0.25 Preferred Provider CEU’s from the International Code Council (ICC). 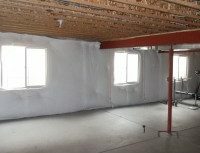 Description: There are a lot of different code provisions to evaluate when handling a basement finish, and this courses covers them all. Building, plumbing, mechanical, fuel-gas, and electrical codes are taught as they apply to the caveats of working in a basement. Based on the 2015 IRC, this course is provided in eight learning sessions, Design, Alarms, Emergency Escape & Rescue, Framing, Fireblocking, Mechanical, Electrical, and Drywall & Access. …Understand and identify the building components in the basement that need evaluation and consideration prior to concealment. …Be introduced to code provisions that regulate the overall design of the finished space. …Learn how emergency escape and rescue openings must be handled. 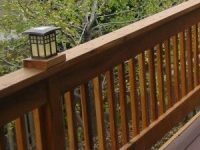 Provided by the North American Deck and Railing Association (NADRA.org), the MDPc is the nation’s only professional deck-code certification. 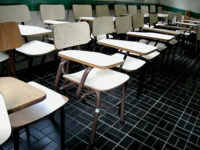 It requires over 10 hours of online education and successful completion of four distinct exams. 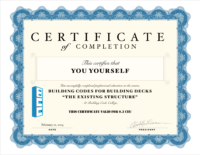 This certification represents a comprehensive knowledge of deck code and standards, including how a deck affects the systems of a home, the entire structural load path, and the additional features such as guards and stairs. Backed by the world’s largest deck and railing organization, and available only to their members, this certification also represents a professional dedication to the promotion of safety in the deck and railing industry. 1) There is a two-hour time limit for each exam. 2) Exam access expires three months after registration. 3) A 70% or better score is required for passing each exam. 4) There are 50 questions on each exam (multiple choice, multiple answer and true/false). Approved for .4 CEU's - Click this sentence for more details. …Know how to identify building systems and components located on the exterior of a typical home. …Learn how to safely design a deck that will work with emergency escape and rescue windows. …Understand the various ways an improperly designed deck can negatively and hazardously affect building systems of the existing structure. Continuing Education Units: Approved for 0.4 Preferred Provider CEU’s from the International Code Council (ICC). Description: This course covers structural design criteria for decks, such as loading, design methods and lumber properties. It continues with an in-depth review of ledger attachments, including how to handle various exterior cladding, flashing methods, and structural considerations. Lateral loads are also discussed in detail to provide a better understanding of what is required and how to provide it. This class is complimented well with Decks – Down The Load Path, where details of the other structural members are explained. 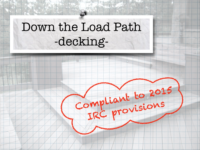 …Understand the limitations of the IRC’s prescriptive design criteria and when alternatives are necessary. …Comprehend the concept of a load path and how to determine the tributary load on a bearing point. …Realize the significance provisions related to the attachment of a deck ledger to a home. Description: Now updated with all the new 2015 IRC provisions, this course completes the load path started in course 2, Ledgers and Lateral Loads. Decking, joists, beams, posts, foundations and even properties of the earth are covered, so that the entire structural system and related codes can be understood. …Understand the basics of deck foundation design and construction. …Understand the variety of manufactured decking products and how to ensure their proper installation. …Realize the potential flexibility of the joist and beam span tables not obvious in the code provisions. …Understand the differences and similarities of guards and handrails. …Learn the strict geometric requirements of various stairways, including straight, winder and spiral, and the uniformity required of their components. …Understand how to work with the code more successfully through an understanding of some basic administrative principles related to adoption and enforcement.